Trying a Different kind of Quilt as you Go. Thread: Trying a Different kind of Quilt as you Go. I read several threads on the Quilt as You method, saw several You Tubes on it, but I just haven't tried it yet. Yesterday as I finished this Full sized quilt top for my Grandson, I said to myself, "there is no way I'm going to work that under my small machine throat. So a light bulb went off. I said to myself, well when they machine quilt everyone suggest starting in the middle, they also like the elmers glue verses the pins. So, what if, I cut the batting in 4 pieces starting at the middle, glue, quilt, and then add another one next to it. Well, I was able to roll the two sides and used Rubber Bands to hold the rolls in place as I quilted as much as I go do on the 1st piece. Just added the 2nd piece, and you know, it works well. The only thing I had to do was overlap the two pieces and then cut them so the seams would match perfectly and glue down. I think I like it. Not finished yet though, saving the edges for last so my quilting would be continuous.. So happy that you had success with this method of QAYG! Many people try a QAYG method, don't like it (or have success) and decide that QAYG is not for them. What they don't realize is that QAYG is a blanket term for many techniques that allow you to finish a quilt in blocks or sections. It's sort of like applique there are many methods: needle turn, raw edge, machine finish etc. If you don't have success with one method, try another. great!! quilting in Sections is what Marti Mitchell calls it. any way we can get quilts done works! I want to try this method too. I will watch this thread and see how you do with it. Please keep us updated. A class I go to divides a large quilt into sections while doing the top, and they sandwich and quilt each section. The sew together on top 1/ inch seam stitch at ting and some very clever ones sew close to the edge of back seam . If like me I hand stitch and the machine. Joining each section as they go. Gannyrosie, hi from Baton Rouge. I love your suggestion. 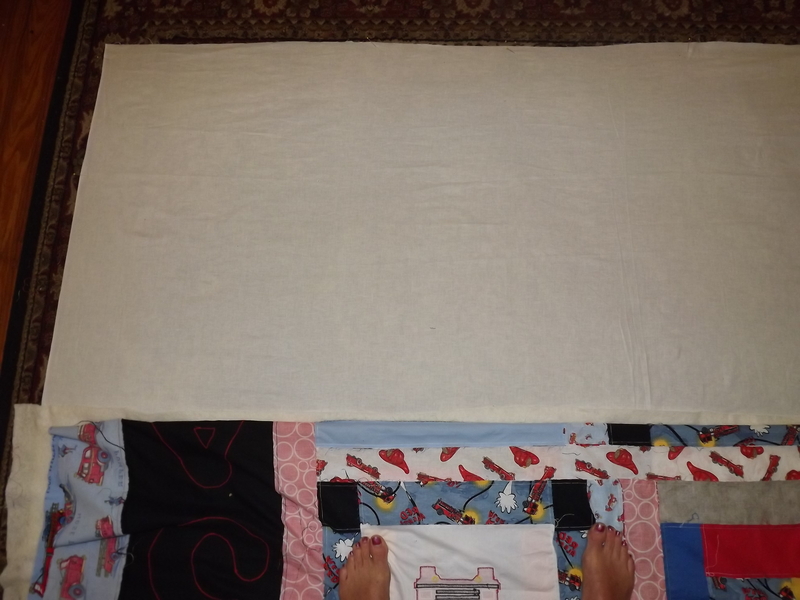 I have used the Elmer's washable school glue on about 6 quilts and have had great results. I will plan on trying your method on the next big one. Gannyrosie, that is exactly what I am doing nowadays, except that I don't use glue but pins. and you know what? it works loll I am practicing FMQ for the first time and it is coming along slowly but surely. Oh! it has an amateur look but I have to start somewhere, right? Never saw Marti Mitchell but will look her up. So far it seems like a no brainer. Not much time to work on it yesterday, had grandkids all day. 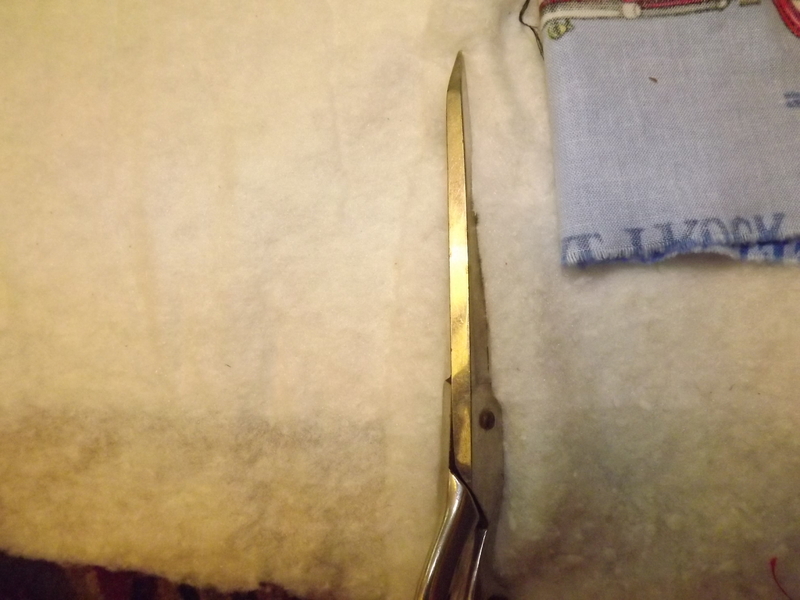 There was another method I want to try and it's in sections that I saw on Sewing with Nancy. If I remember right, after one section is done and quilted you put the next section on. The quilt top is laid right sides together ( the new section top on top of the quilted section) then the batting and quilt back on put on the top of the back sided of the quilted top with the backings right sides together. So you now would have 6 layers to sew together and then bring the new section over and start quilting. I may have not said this all right, but when I first encountered quilt as you go, that was the first one I ever saw. I just don't have patterns to go by when making the tops, so my tops will be whole and not in sections. ( not that i have never used patterns, I just design my quilts as I go). will take a pic on next section to show you quilt addict. may be this weekend. And the glue doesn't mess up your needle when you sew through it? Not if it is dry first. And the needle goes right through it. I am very happy with this method. I don't use special tips or dilute and brush on. Just drizzle a thin bead of glue in a grid pattern a section at a time. It dries pretty fast. Did you also cut the backing fabric in 4 sections like you did the batting? Or was the backing still one piece? Hi, I have used the divided batting method and it works well. I found by lapping the batting I had a bump in the quilt so when I cut the batting I did so in a gentle curve, put a coloured thread on each side so that I could match up later and also be sure I had the right piece. Usually I cut three or more pieces depending on the size of the quilt. Match the centre of the backing, batting piece and the top and pin or glue in place leaving two or three inches from each curvy edge to allow you to join the next piece of batting after you have quilted the centre strip. Straighten out your backing, match up your next piece of batting, pull your top over and smooth the lot, secure as before and quilt away. Hope you can understand this as sometimes I feel as if I dribble on a bit. Gannyrosie - you are a genius. I have a quilt that is way past the date it should have been finished and passed onto it's rightful owner (Not that she knows that - but significant birthday was nearly a year ago!!) It is huge and I knew I couldn't cope with keeping it whole but cutting the whole thing into sections just isn't an option. But cutting down the batting now that is brilliant - wish you'd posted months ago!! I shall be in my sewing room tomorrow all enthusiastic again and I can get that pile of top, batting and backing that I keep moving around made up into the pretty quilt it is supposed to be. Thank you Very much. Oh faybe - thank you for that lovely description of how to cut the batting. I've just copy and pasted these wonderful posts onto my desktop and I shall print them out so I shall know exactly what to do when i get up to the sewing room tomorrow . You guys really are the best. thank you so much. I am confused about the center strip you mentioned. Do you begin your quilting on the first section of batting in the center of the quilt top? Thank you! yes, I start in the center, that way I you have less bulk on right and left side. fayby, that's a great idea, but again to me it's more time wasted. I"ve attached some pics of my process and if you cut the two overlapped pieces at same time, they will match perfectly and I don't have to do all those extra steps. I'm all about time. Time I have very little of watching the grandsons all day. I hope you can see in the pics of how I do it. my backing is pinned to rug so i don't have to worry about ripples. After the backing is pinned and taut I then all the glue, stand up above and hold glue and drizzle fast so to get fine lines. 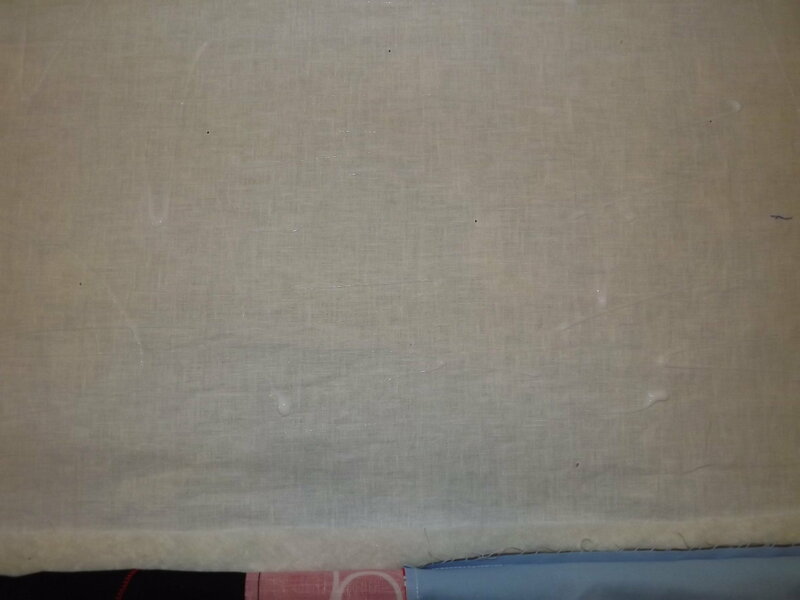 after backing and batting is together ( making sure the previous batting on middle layer and the new backing are over lapped I will cut the two layers together and it makes a perfect match. I know about the batting tape, but as long as I glue close to them it hasnt been an issue. I am really liking this method for me at least.